Keeping track of billing and coding compliance rules for physician groups and other healthcare professionals is a complex game. You must keep tabs on the continually changing rules and documentation requirements. To make it even more complicated, the most important piece of documentation—the reason for the examination—is often missing in radiology reports. 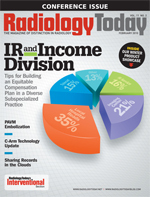 Use this article as a guide to some of 2009’s most impactful and subtle ICD, CPT, and Physician Quality Reporting Initiative (PQRI) changes that may have escaped your attention. A routine mammogram may be deemed inconclusive due to dense breasts. This is not considered an abnormal condition but one that requires further testing to confirm no malignant condition exists that could be noted on a mammogram. A new code has been requested to explain this situation and justify further testing. Category 793, Nonspecific abnormal findings on radiological and other examination of body structure, was considered the best category for this new code, but there were concerns that because dense breasts are not abnormal, category 793 would not be correct. To remedy this potential conflict, it was proposed that the title of category 793 be modified by replacing the term “abnormal” with “nonessential,” meaning that abnormal may or may not be in the diagnostic statement and will not affect code assignment. This will allow the inclusion of inconclusive but not necessarily abnormal test findings in this category. An inconclusive mammogram includes dense breasts, not otherwise specified; inconclusive mammogram, not elsewhere classifed (NEC); inconclusive mammography due to dense breasts; and inconclusive mammography NEC. Question: A patient initially presented for screening mammography, which revealed dense breasts with no suspicious findings. The following year, the physician ordered a diagnostic mammogram due to the patient’s history of dense breasts. The subsequent mammogram demonstrated no abnormal findings. How should the encounter for the subsequent mammogram be coded? Answer: Assign code 793.82, Inconclusive mammogram, as the first listed diagnosis since the subsequent mammogram was performed due to the patient’s prior diagnosis of dense breast and demonstrated no abnormal findings. It has been a longstanding ICD guideline that “rule out” and “consistent with” are terms that describe an inconclusive diagnosis. In the Official Guidelines for Coding and Reporting, Section IV.I. states that you should “not code diagnoses documented as ‘probable,’ ‘suspected,’ ‘questionable,’ ‘rule out,’ or ‘working diagnosis’ or other similar terms indicating uncertainty. Rather, code the condition(s) to the highest degree of certainty for that encounter/visit, such as symptoms, signs, abnormal test results, or other reason for the visit.” In terms of coding and reporting for hospital inpatients, it would not be appropriate to code abnormal findings from radiology reports, according to the Official Guidelines for Coding and Reporting Section III.B. Question: Is it appropriate to report codes for diagnoses recorded as “evidence of cerebral atrophy” and “appears to be a nasal fracture” when documented on outpatient radiology reports? Answer: The phrase “appears to be” listed in the diagnostic statement fits the definition of a probable or suspected condition and would not be coded in the outpatient setting. However, when the provider documents “evidence of” a particular condition, it is not considered an uncertain diagnosis and should be appropriately coded and reported in the outpatient setting. Two new FDG-PET oncologic modifiers, PI and PS, were included in the July quarterly update of the Integrated Outpatient Code Editor, with an effective date of April 1, 2009. Upon implementation, all FDG-PET oncologic-related claims for dates of service on or after April 3, 2009, must include one of these two new modifiers in order for the claim to be processed correctly. Many providers have been unpleasantly surprised with unprocessed denied claims. Transmittal 106 dated September 18, 2009, was rescinded and replaced by Transmittal 108 changing the implementation date to October 30, 2009 . There are no additional measures for diagnostic radiology in PQRI 2010, although there were some subtle changes. • Measure 10 added new ICD codes 784.51, 784.59 for slurred speech. • Measure 11, which included carotid imaging studies (neck MR angiography, neck CT angiography, neck duplex ultrasound, carotid angiogram) performed that include direct or indirect reference to measurements of distal internal carotid diameter as the denominator for stenosis measurement, is now retired. The Centers for Medicare & Medicaid Services analysis indicates measure 11 was “technically impractical” and “analytically challenged due to any number of factors.” Measure 11 was replaced by measure 195, with the age restriction removed (previously a patient had to be 18 or older), and there are no ICD requirements. • Measure 145, radiology exposure time reported for procedures using fluoroscopy, added CPT code 36147. This signals the introduction of a needle and/or catheter, arteriovenous shunt created for dialysis (graft/fistula), initial access with complete radiological evaluation of dialysis access, including fluoroscopy, image documentation, and report. CPT code 75791 was also added to measure 145, signaling angiography, arteriovenous shunt (eg, dialysis patient fistula/graft), complete evaluation of dialysis access, including fluoroscopy, image documentation, and report (includes injections of contrast and all necessary imaging from the arterial anastomosis and adjacent artery through entire venous outflow including the inferior or superior vena cava), radiological supervision, and interpretation. — JoAnn Baker, CCS, CPC-H, CPC, CHCC, is a coding analyst for CodeRyte.